Probably one of the cheapest and most effective ways of transforming your kitchen is with judicious use of paint. But please let us emphasise the word judicious. 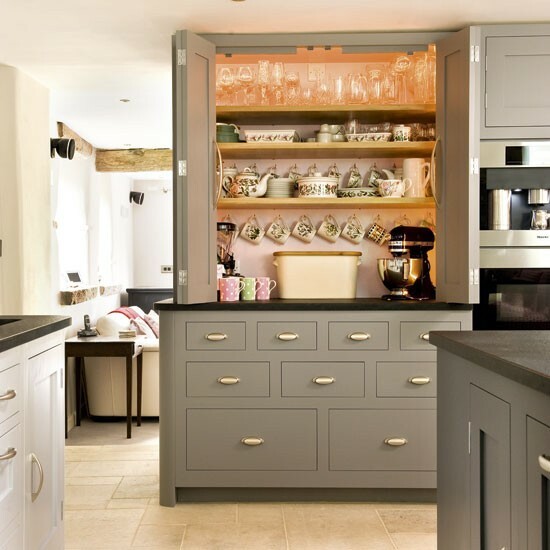 Simply daubing your units with any old colour can be disastrous, giving you a poor finish and a room that ends up feeling dark and gloomy, rather than appearing spacious and stylish. Yes, it's essential to take time over the colour. 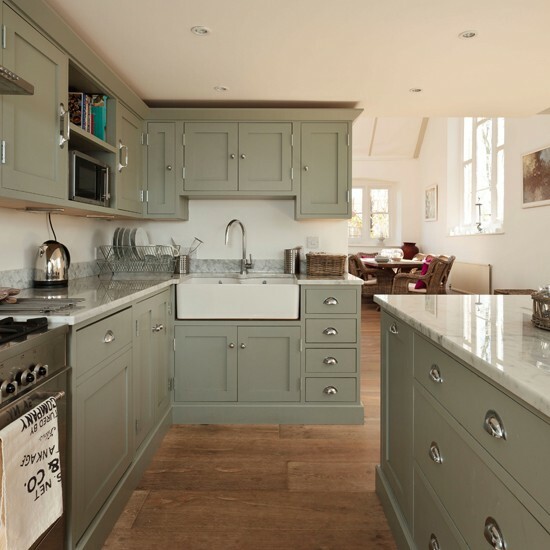 With years of experience, and many, many happy customers, the team at Relics of Witney can easily help to take the angst out of picking the right colours for your kitchen. Contact us or visit the shop in person, for a completely personal service. For now, however, let us lead you through some stages of initial inspiration to get you well on the way to a transformed kitchen. Firstly, find out the orientation of your kitchen. Farrow and Ball have produced a great booklet called 'All About Colour', available in Relics of Witney, which explains how the light that different rooms receives can greatly affect the appearance of paint. For example, South-facing rooms are full of warm light for most of the day and, on sunny days, everything will look more yellow. Farrow and Ball suggest that it's worth emphasising that feeling of light and space with pale blue tones, such as Pavilion Blue or Borrowed Light, or use red-based neutrals, such as Joa's White, for a warmer feel. Conversely, North-facing rooms can seem cooler and harsher with the lack of light. Farrow and Ball suggest that you focus on yellow-based colours, such as New White and Ringwold Ground to help bounce light around the room. Or, instead, try working with that natural lack of light and create an intimate, cosy room with dramatic choice of colour, such as Brinjal, a deep aubergine, or Down Pipe. a dark grey with a hint of teal. The light in West- and East-facing rooms changes throughout the day as the sun swings over the sky. It's worth taking the time to think of when you'll use the room most to tailor your colour choice to the light you'll most often experience. If you want to use the room at a time when the light is very strong, you might like to pick a shade a little darker than you'd naturally be drawn to, as sunlight has a tendency to bleach out colour. Secondly, work out the kind of artificial lighting you'll be using. Very warm lighting, such as incandescent bulbs, will cast a yellow glow, whilst LED lighting gives a bluish cast, meaning that your chosen paint may not appear as you'd first imagined it. Lastly, decide where you want your colour choices. The effect can be very different when painted on walls, compared to painted kitchen units. 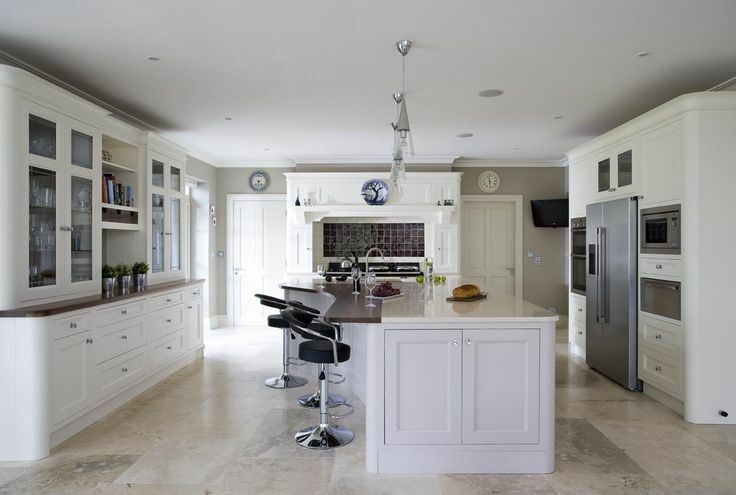 To demonstrate what we mean, here are two kitchens which both feature Farrow and Ball Elephant's Breath. The first has Elephant's Breath on the walls, and the second on the units. We hope that's given you lots to think over. 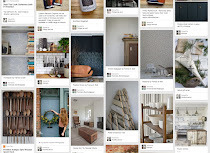 For help picking out paint colours that will work perfectly in your room, we'd love to hear from you.